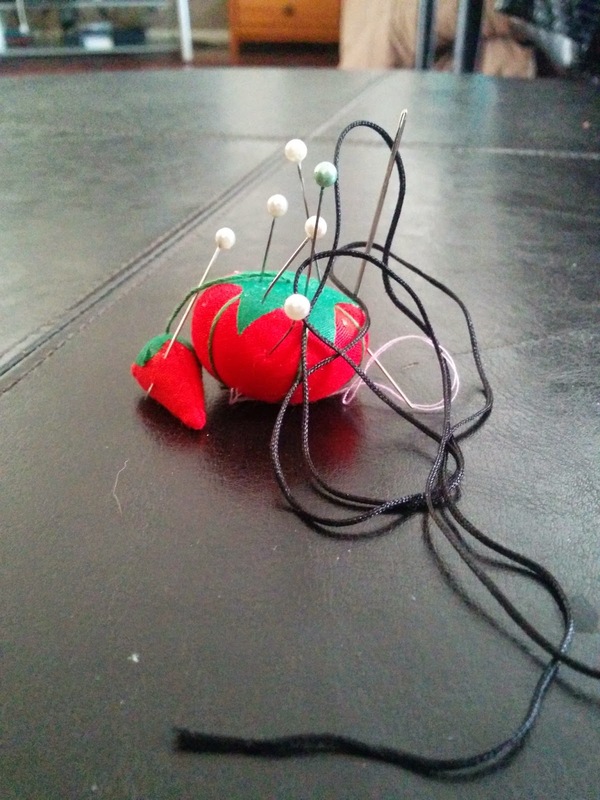 I woke up that following day with a sore index finger and thumb from pushing and pulling my needle through the fabric. 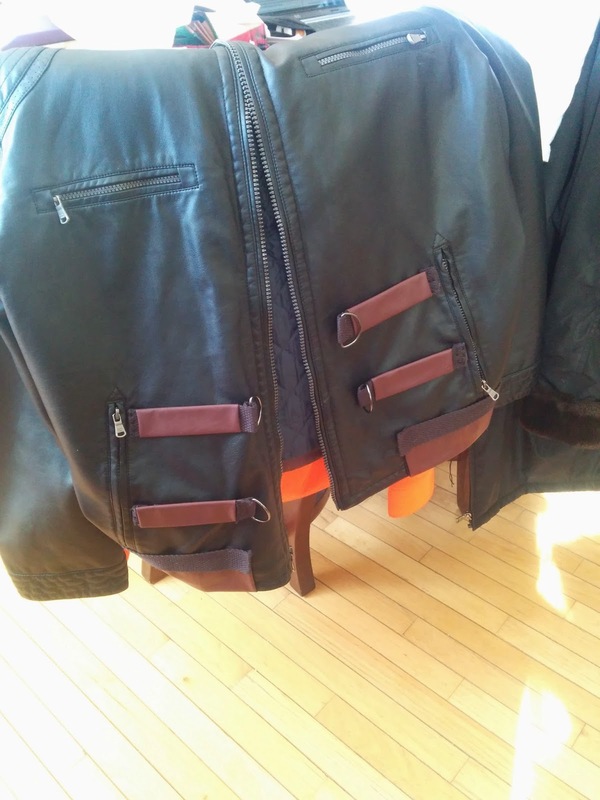 I felt like I had an awl and layers of leather and that I could maybe make something to cover my nakedness in another time but damn, sewing is hard work. This is an update. I still have one shoulder panel to put on and I need to stitch down the ends of the buckles and the wrist cuffs but I was letting my fingers heal some. I'll be working on that this evening and tomorrow. The symbol is not bad but its curved the wrong way. It laid out a bit better than it came out. Its readable but I am disappointed that I didn't get the angle correct. I'm trying to move past that but I can just hear the criticism in my ear about it. Oh well. 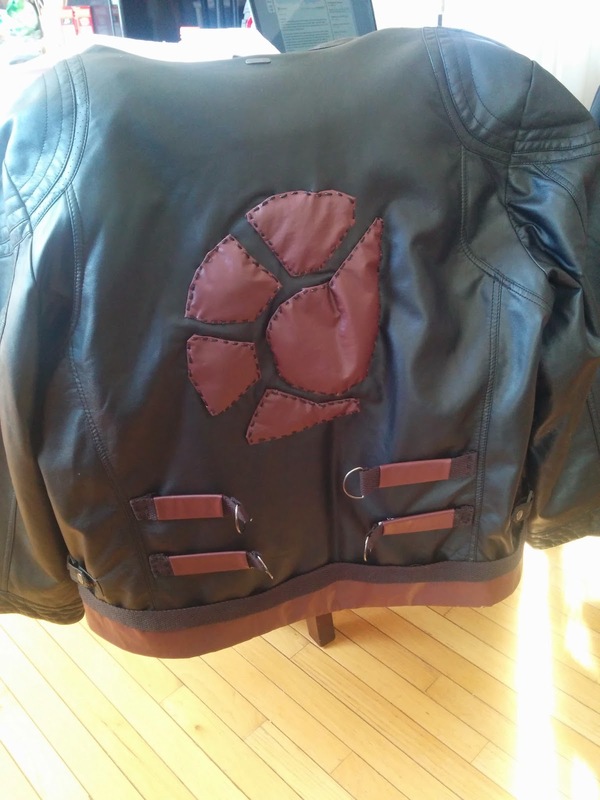 So what makes a jacket Minmatar? The colors were important. I spent some time in the character creator looking at the jackets. I don't have the figure of the female characters so I looked at the mens. This isn't an exact replica. I'd need a sewing machine for that and I do wish that I had one, this would go faster. 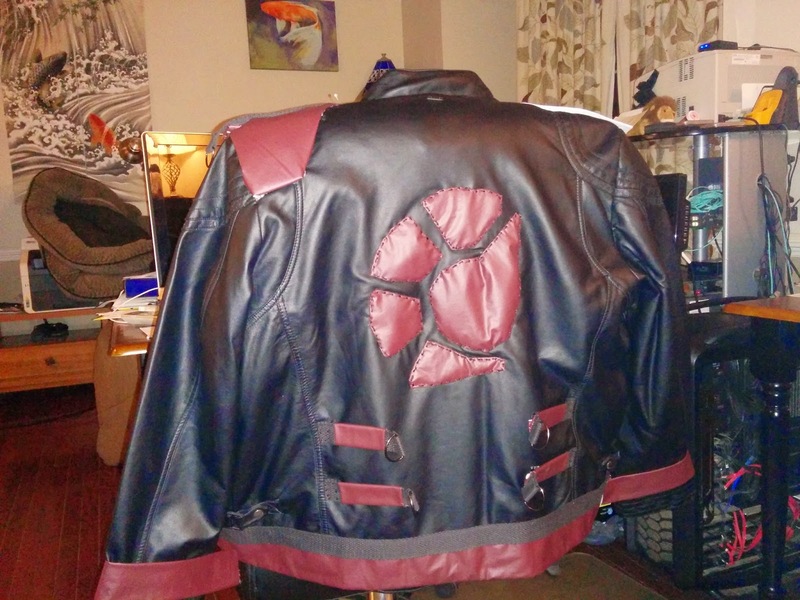 As for now I decided that I needed buckles, some shoulder colors, and some trim. And then I just started adding them on. I actually built the buckles from a mixture of a broad canvas strap like piece that is also serving as trim, buckles, and wrapped leather. 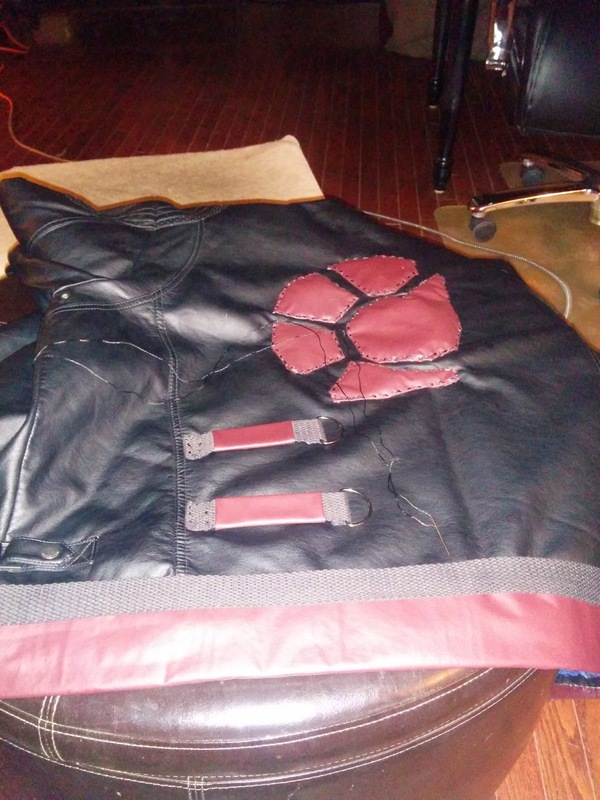 I think they give the jacket more emphasis and speak to the habit of having buckles all over everything Minmatar. Shoulder panels are hard as hell. I suddenly have the desire for a clothing horse to use. Instead, my husbands chair took the responsibility. That is his desk and some of his machines. I'm currently working on the other shoulder and you can see the wrist trim here as well. I use a mixture of fabric tape, fabric glue, and stitching. This evening I'm doing some shopping for accessories. I've mostly worked up the courage to go with my hair braided which means I need beads for it and a hat for my head because its cold braided. I have a pair of cargo pants and I can wear my yellow Quafe shirt from 2013. All in all its coming together and my 'full' day of dress up is planned for Thursday. Then we will see how it does. I'm debating a dark purple lipstick as well. It should go against the light brown of my skin and do interesting color contrasts. Purple is my default eyeliner and such. It works well with the reds of my skin tone. Anyway, almost done! I'll be finished in time and hopefully it will be recognizable and not just a hot mess. The moment I try to do anything involved my Qwinn kitty appears and would like attention, hopefully my lap some cuddles and plenty of shedding on my project. Sigh. When I'm just sitting here? No cat. When I pick up the project? Cat. Until now, I’d never bothered to look into Sugar Kyle the Avatar’s cultural heritage. Turns out she’s Minmitar – Sebiestor Tribe. Also turns out the hands behind the Kyle are (or soon will be) Minimatar as well. How appropriate. 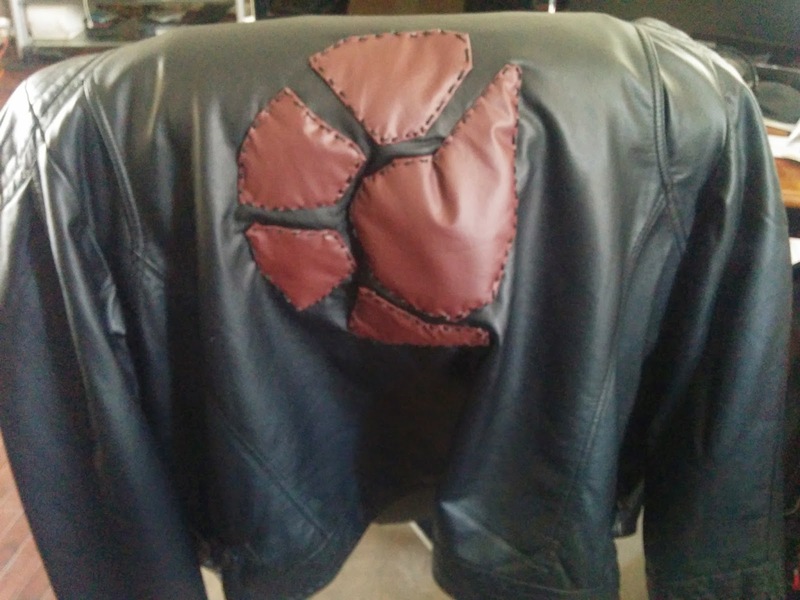 I’d say the jacket is coming along nicely. Do wear the purple lipstick. Perhaps Qwinn is drawn to the smell of leather? Good kitty . . . 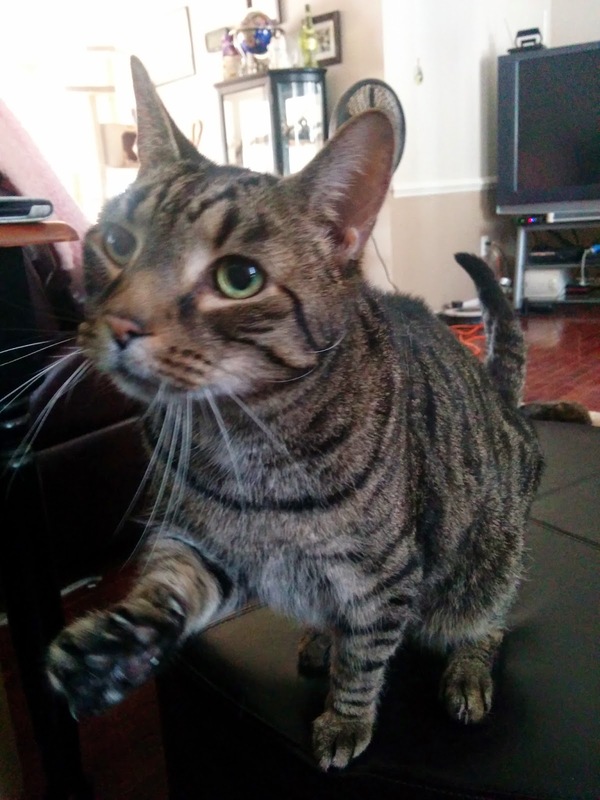 Feline psychology: while you're doing something you won't stop doing to pet him, Qwinn won't bother trying unless your rejection amuses him. The moment you do something unusual, Qwinn the cat needs to test the waters about the new activity, to tell whether is something you'll stop doing to pet him, or don't.